Home / Crime / Europe / France / Front National / Le Pen / News / Ukip / EU Expenses : Front National Raided ... Ukip Next? EU Expenses : Front National Raided ... Ukip Next? French Police and Fraud Squad Officers have raided the headquarters, offices and private homes of Front National's Staff, Officials and Accountants in a massive crackdown on possible EU Expenses Fraud. 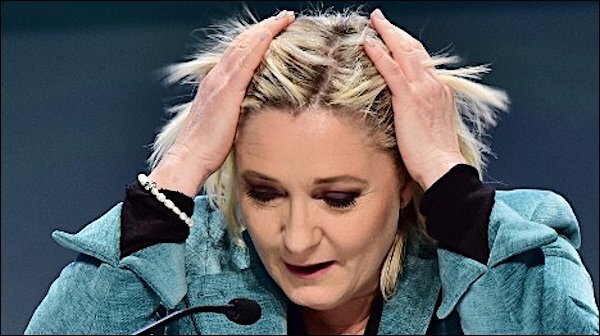 Marine Le Pen, already facing various criminal charges, may be facing a few more. 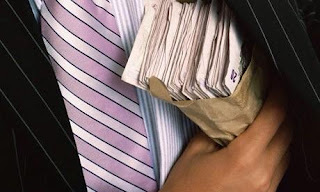 The allegations relate to a practice we have stated that Ukip almost certainly indulge in: Employing Staff on the #EU Payroll, while those staff are mainly involved in National Politics. Any brief glance on the UKIP MEPs pages will show that every Ukip MEP has a plethora of 'Research Assistants' .. far more than really needed when one considers the negligeable work that Ukip MEPs actually involve themselves in. Having examined in detail who these are, and how they are initially employed, it is quite clear that this is simply a method of Ukip giving loyal acolytes a well-paid job, on the EU dime. A Ukip job? Nice little earner. What are these 'Researchers' doing all day? Our Inside Source tells us they are very often involved in British Domestic Politics, including Regional or Local organising, administration and campaigning. This is completely against the EU EFDD Funding rules .. and if proven, constitutes Serious Fraud. We have said often in the past that it would be Money (either lack of it or illegal use of it) that would bring #Ukip down. If the EU turn their eyes from FN to EFDD, perhaps that moment is one step closer.